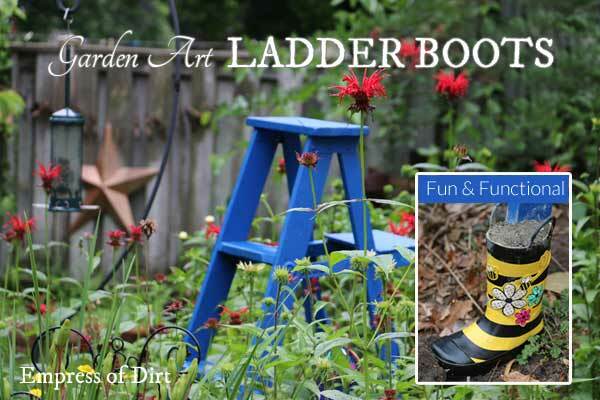 ▪ Outsmart the Rain | Boots for a ladder? Yes, of course. If you want to change your subscription or email address, please use the blue buttons at top of your newsletter email. This one puts the fun in functional! The legs of my beloved blue garden ladder were starting to rot, so I added rain boots. Problem solved. I love it when my neighbours get ruthless with their spring cleaning. 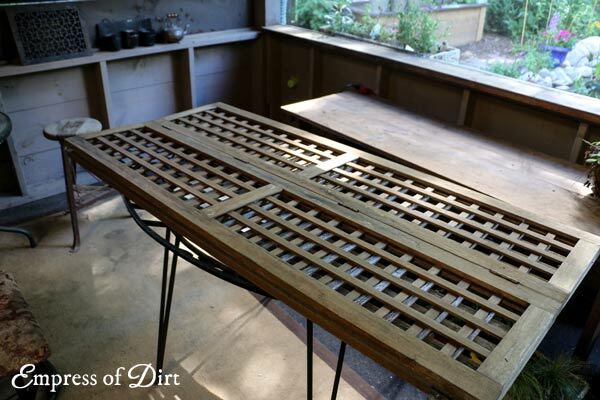 This old wooden screen was a roadside find and exactly what I needed for the garden. 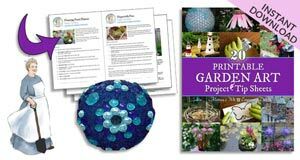 Did you know you can transplant flowering bulbs when they are flowering? Yup! In the example above, I moved them from plastic grocery store pots to an old metal lunch box. 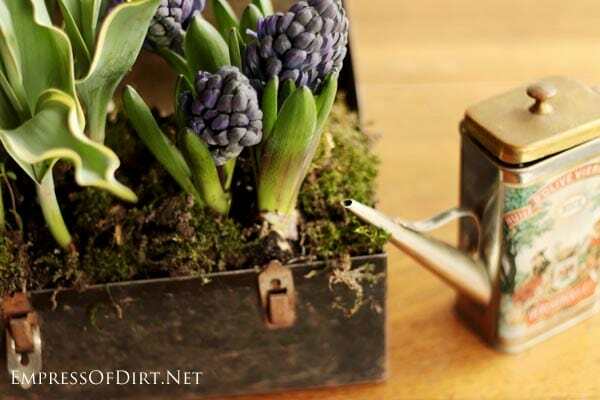 You can also dig up and transplant bulbs from the ground. 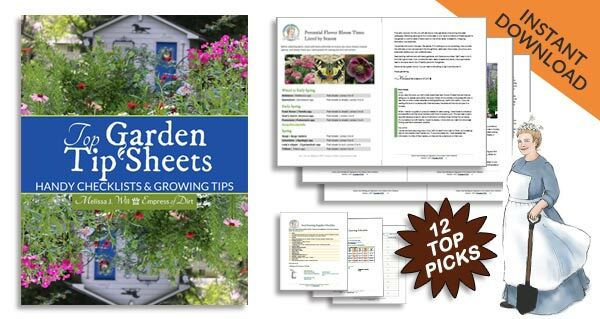 The March Garden Task List is here. 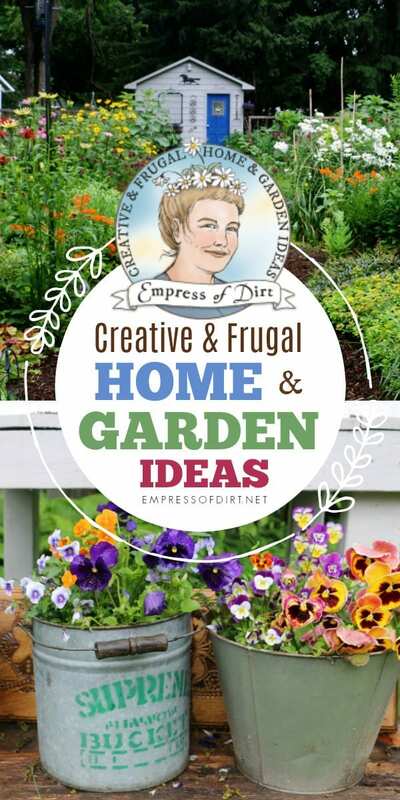 Have a look at what you can be doing both indoors and outdoors. 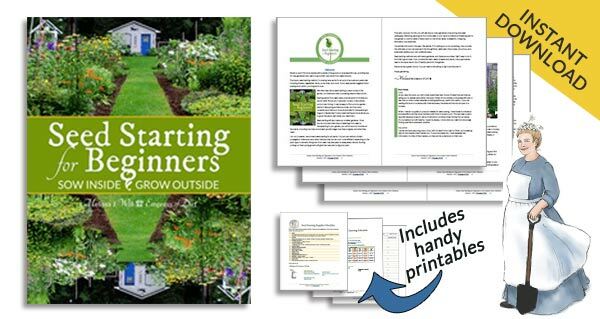 I’ve got free, printable seed sowing notes here to keep track of your seed starting and chart the progress. 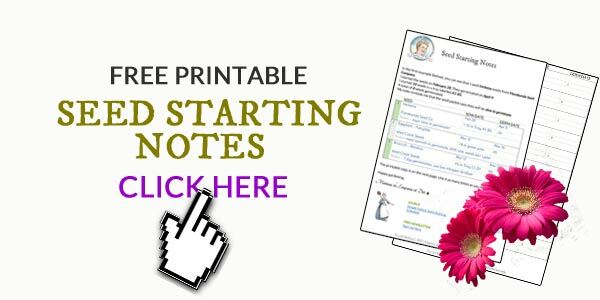 Download the file and print as many as you need. These notes are very handy for future reference. The shop is overflowing with fresh goodies. 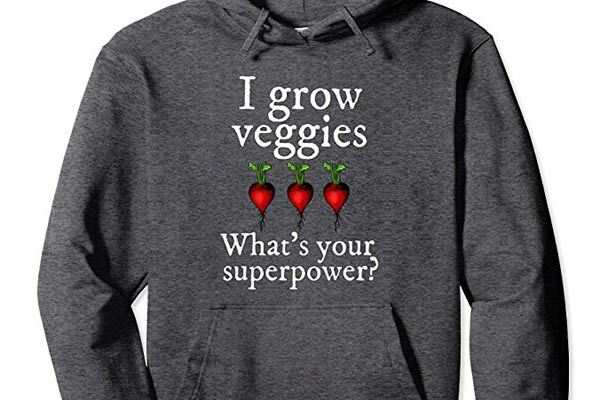 New ebooks, merch designs—t-shirts, hoodies, journals, and more! I realize it’s not for everyone, but I love living in a four-season climate. There is something so magnificent about each season in its own right, and the transitions from one to the next get me giddy. Spring is peak phenology season. If you’re intrigued by the cycles of nature and how they all play off each other, have a look here. PS: Do hummingbirds migrate through your area? I like to have everything ready in case mild weather causes early arrivals. Get feeders that lets them rest while they drink and be sure to use the right ratio of sugar in the water.